What are the consequences of trachoma? If left untreated, trachoma causes eyelids to turn inward and painfully scrape the cornea. Children can’t function in school, and adults become unable to care for their families and work their crops as the constant itching and unbearable pain worsens. Eventually, blindness takes over, and lives and futures are changed irreversibly. Is treatment reaching those who need it? This year, more than 3.5 million people in five provinces of Mozambique are expected to be treated through mass drug administration. This will be a huge accomplishment largely due to partnership between our country office and the International Trachoma Initiative, which is delivering the trachoma-fighting antibiotic Zithromax. Last year, at least 80 percent of those who were eligible received treatment in almost all of the targeted districts, and about half were women. Women play a powerful role in gathering their families together; they are usually the ones taking children for vaccinations, but they are often the last ones receiving health care themselves. It’s heartening to see women receiving this treatment, so they can in turn benefit and nurture their families. How do you assess where treatment is most needed? Mozambique’s Ministry of Health tracked cases of trachoma across the country, mapping where disease rates were high enough to require mass treatment. ENVISION and others provided support — a lot of dialogue was needed, as much was at stake in getting it right. It’s an enormous task to provide treatment to everyone – but having a clear and accurate picture of trachoma rates is a crucial first step. 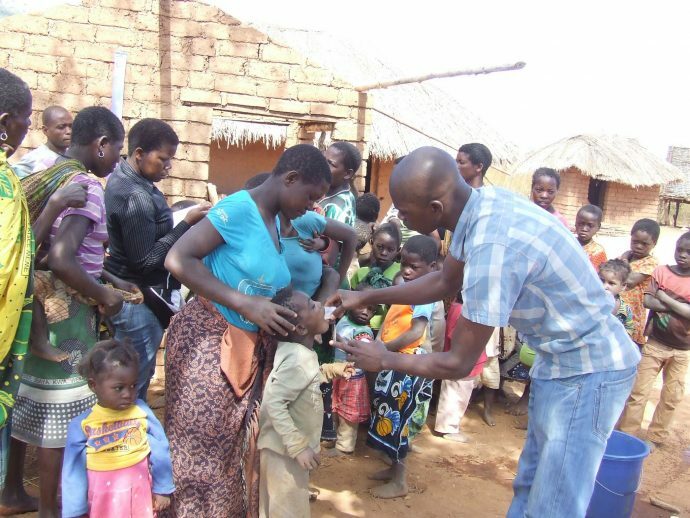 ENVISION supported mass drug administrations for trachoma in 10 districts of Niassa province in 2013. These have grown each year since then, and are now conducted in all provinces where trachoma affects at least 10 percent of the population. What lessons have we learned from our success in fighting trachoma in Mozambique? Strong engagement with communities, at all levels, is crucial. Conversations with community leaders, before mass treatments begin, ensure they understand these campaigns and will encourage people to participate. High levels of illiteracy mean that posters are sometimes not the best option; however, community radio messages are more far-reaching. After every mass treatment, ENVISION and the Ministry of Health began reflecting on what needs to be improved. Distributing antibiotics only gets us so far. Other solutions to fight trachoma include ensuring facial cleanliness, making environmental improvements — such as access to clean toilets, and sometimes providing medical interventions like surgery. We’ve learned that we must leverage our resources and partnerships to support a full strategy that include those components. For instance, with support from the Queen Elizabeth Diamond Jubilee Trust, we are working with partners to increase trichiasis surgeries in four provinces. We are also engaging with NGOs working in the water, sanitation and hygiene sector and the Ministry of Health to incorporate facial cleanliness messages and environmental improvements into programs and policies. We’re particularly proud of a recent partnership with WaterAid to improve access to safe water sources and sanitation. It’s amazing to think about how far we’ve come in such a short amount of time: Already, mass treatment is no longer needed in Niassa, Mozambique’s largest and most remote province, since rates of trachoma there have dipped to less than 5 percent. Current trends tell us that active trachoma levels could fall significantly across the entire country by 2018. This means mass treatment will stop, and we will monitor districts for the next three years to evaluate whether further treatment is needed. We are very excited that this phase may be around the corner. 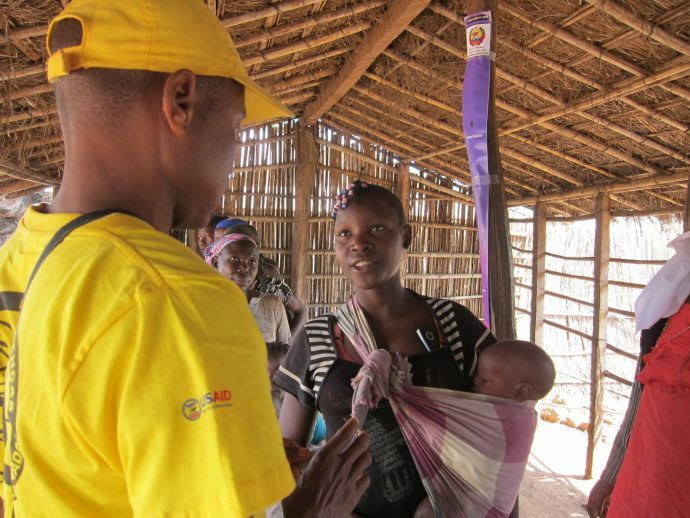 The trachoma-fighting community in Mozambique has faced its fair share of challenges, but commitment from all involved – from the government to the communities themselves – has kept progress moving. With support from our partners, I am sure we can eliminate this blinding disease and classify Mozambique as a trachoma-free country.